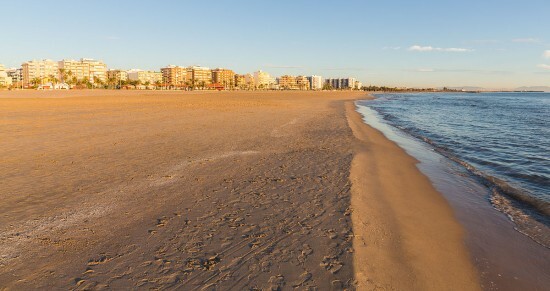 A short distance from Valencia you find the town of Sagunto -half an hour by car or train- which we recommend all our students to visit to experience its imposing roman ruins or its wonderful beaches marked by European blue flag as a sign of the good quality of the water and the services. Enforex Valencia offer intensive and super intensive courses with variable extensions from 1 to 8 weeks, which include private cultural classes and activities to make the stay in the region of Valencia complete experience. This is one of our trips outside the city and the students have always liked it. In the cobbled streets in the old town of Sagunto you can see clearly the Roman traces, thanks to the well-preserved heritage that crowns the city. All this together is considered as a Heritage of Cultural Interest. A visit to the castle, at the top in the strategic point of the defense of the territory, is inescapable; it covers whole Iberian and Roman remains although the prevailed construction has been done later, in the Arab period. This striking point was conquered by the general Hannibal in a famous siege from the Iberian settlers who were called Arse. 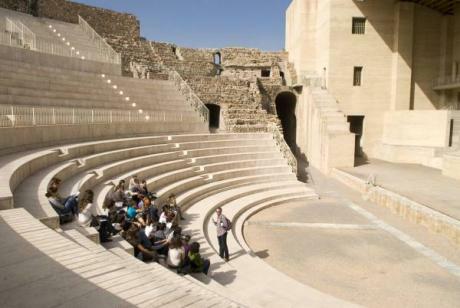 In this trip we are proposing you, the Roman Theater, constructed in the 1st Century and protected as a National Monument, plays a leading role. It is a must visit with its exceptional acoustics and its situation up in the hollow of the mountain. The Jewish quarter with its narrow streets still has the feeling of a medieval town. To have dinner around these monuments before or after attending a concert or a show is a tempting plan, right? In other occasions, we talk about this opportunity as a cultural activity, but now the theater festival, which had been losing its drive as a classical and popular summer activity for Valencians, is a good excuse. 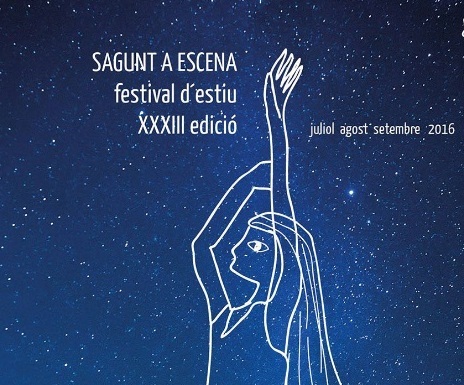 In 2016 Sagunt a Escena makes a strong comeback with a wide program from 21 of July to 10 of September in two main stages, the spectacular Roman Theater and Off Romá, which includes alternative stages on the way up to the Castle, the Civic Center in Puerto Sagunto and the Plaza de la Glorieta, all of them with free access. With the program for almost two months, Sagunt a Escena, offers a great variety of music, classical theater and dance. Shows like Medea, Lisístrata (La guerra de las mujeres), Juana, Liberté o Sólo son mujeres, are a mixture of dance, classic texts and flamenco. There are concerts performed by the Youth Orchestra of the Generalitat Valenciana, the singer Maria del Mar Bonet, the Jerez-Texas group that will record a cd during their performance or Valencia Big Band with Pedro Iturralde, which will close the festival. In the stages of Off-Romà there will be small circus, theater, cabaret and dance shows. We should not forget either, that summer means also sea and in the coastal area of Sagunto we have 13 km of coastline to enjoy the beach a big time. A complete plan, right?